A few months ago, I attended a baby shower for one of my friends from church. I wanted to do something for a shower gift, so I put together a cute gift basket for her. 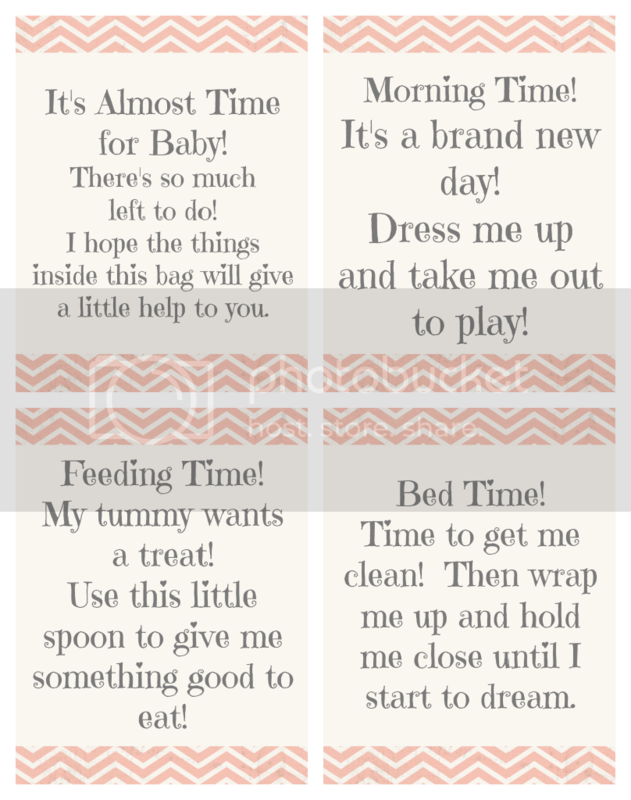 I was inspired by this "Time for Baby" gift basket from Darling Doodles. What a great idea! However, I changed a few things. First of all, I used slightly different items. And second, the tags weren't really my style. I wanted something a little different, and I wanted the wording to be a bit different as well, so I created my own gift tags! We'll get to those in a minute. 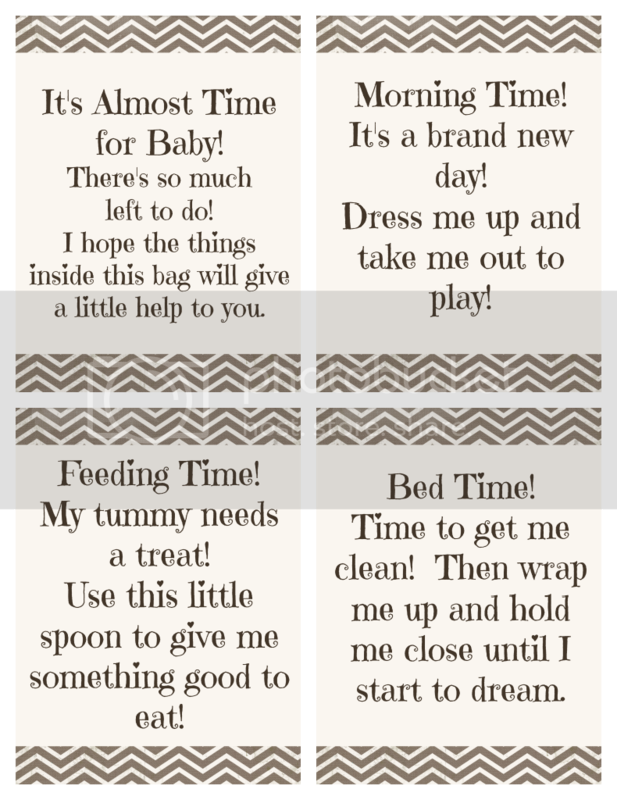 In a "Time for Baby" gift basket, I chose to give gifts for feeding time, time to get dressed, and bath/bed time. You could also do play time, but I chose not to since she already has plenty of baby toys. I chose a baby food spoon for feeding time. They did not have these when my littles were babies, and I'm so jealous of those of you that have them! How much easier would feeding on the go have been! So now they are a staple baby shower gift for me. I chose some cute shoes for dressing time, since EVERYONE gives outfits at a shower. I finished the gifts off with these cute gift tags. You can download them by right clicking on the image and saving them to your computer, or by clicking here for a (somewhat) editable file. 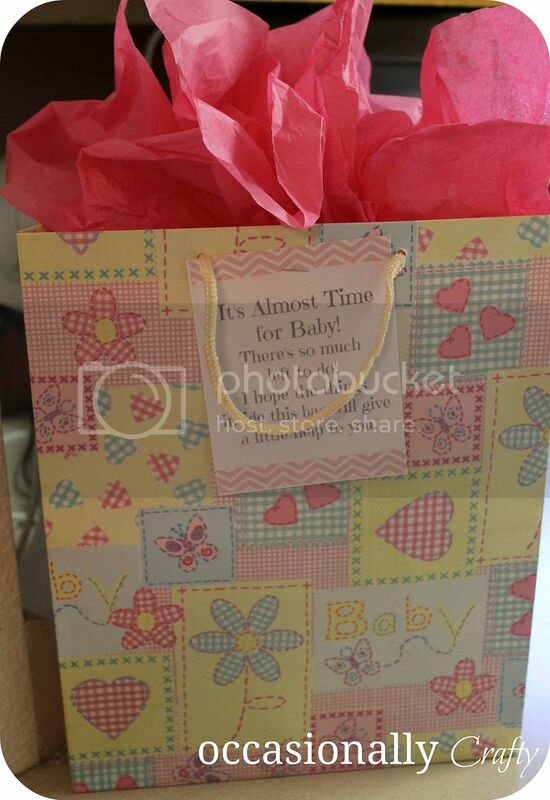 Everything went in a cute gift bag, and I was off to the shower! The mom-to-be loved it! And I had fun giving something useful while still being able to add that handmade touch to it. I'm linking these up to some of these parties this week. Come party along with me! Great idea, and I love the printables. I'm pinning! I must be getting old. I used to be invited to baby showers all of the time, but now I only get to go to one or two a year. Thanks for the great ideas. Fun ideas. Thanks for sharing and for the printables. Love the prints. So cute! Such a cute idea! I'm pinning this for future reference. Thank you so much for sharing. This is awesome…and I am stealing it. SO MANY pregnant friends right now. 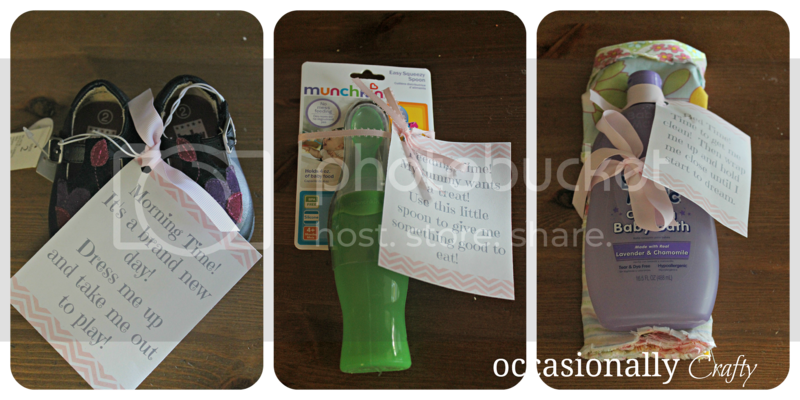 Who will be the lucky one to get a baby book shower?